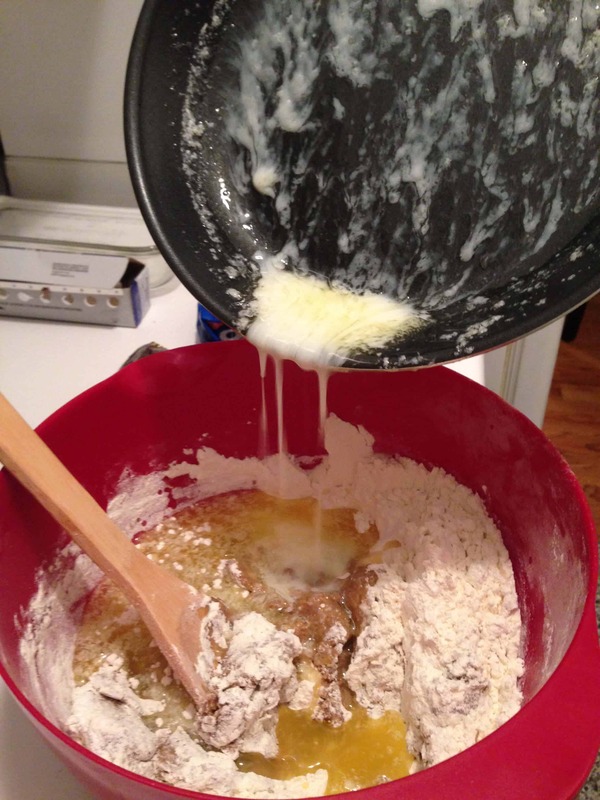 Preheat oven to 350 degrees F. Melt butter over low heat, and let cool. 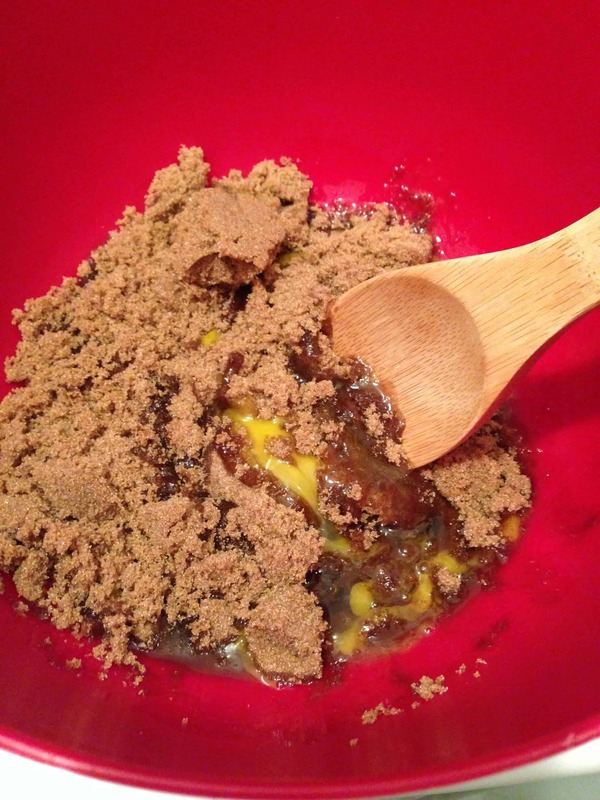 Crack eggs into a large mixing bowl, add the brown sugar, and one cup of flour. 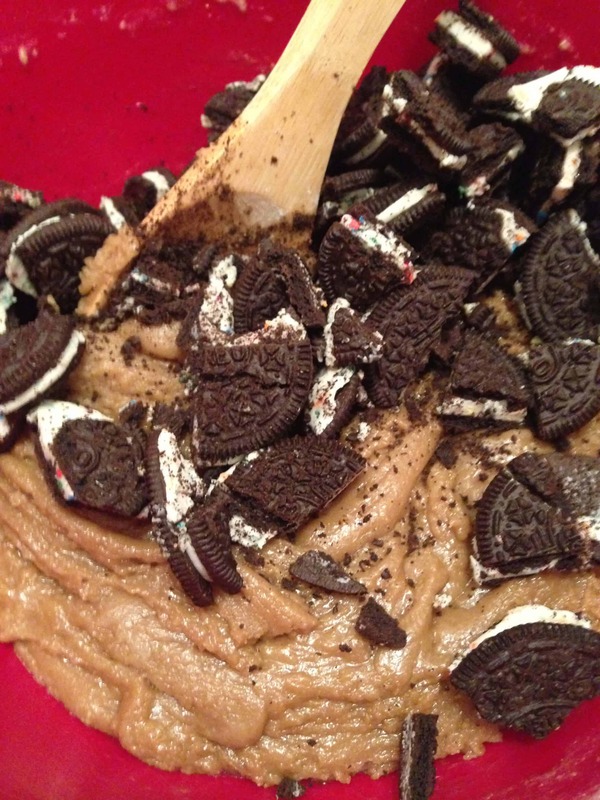 Mix, then add second cup of flour. Pour in the melted butter, and vanilla. 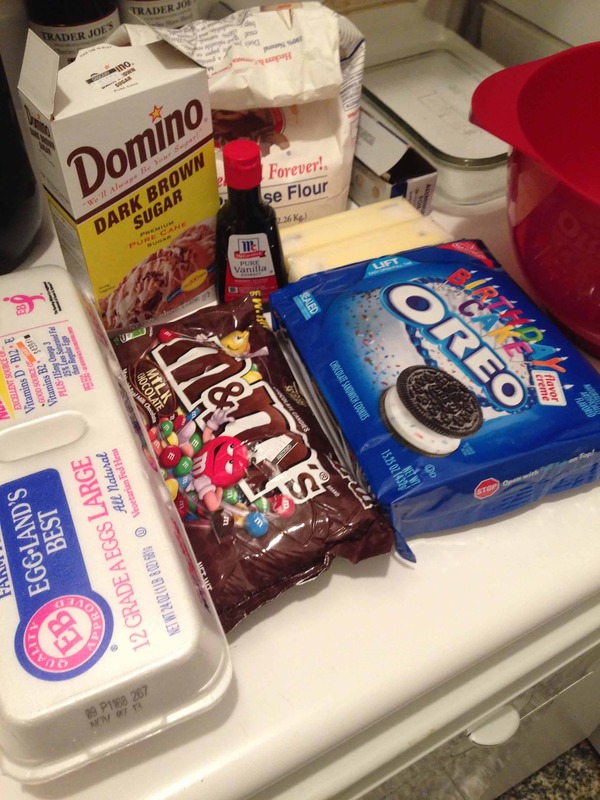 Mix until the ingredients are fully combined. 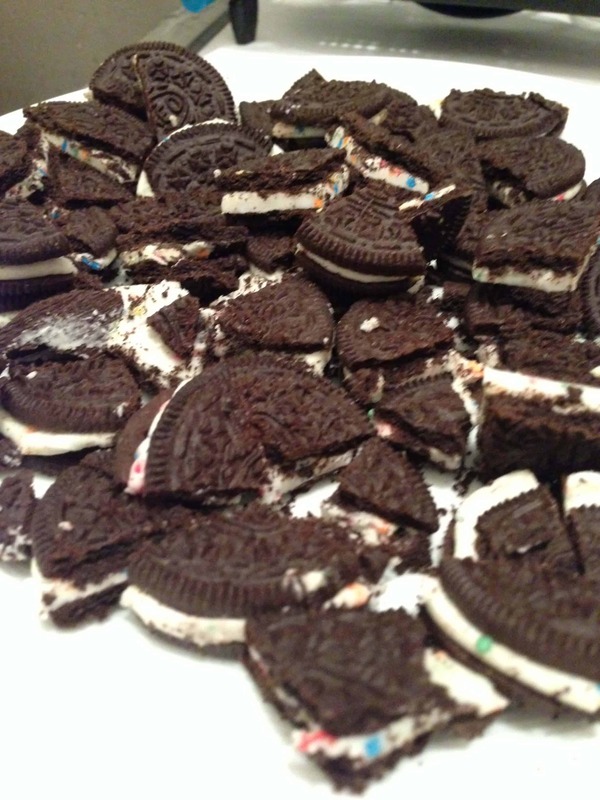 Add oreos, and mix gently until the oreos are evenly distributed. 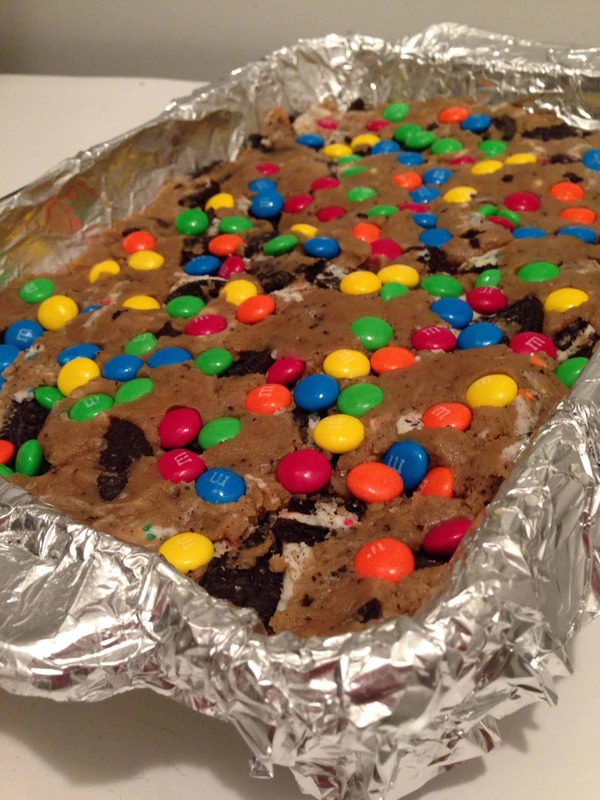 Place the cookie dough into a greased, foiled baking dish (8 in. x 13 in. 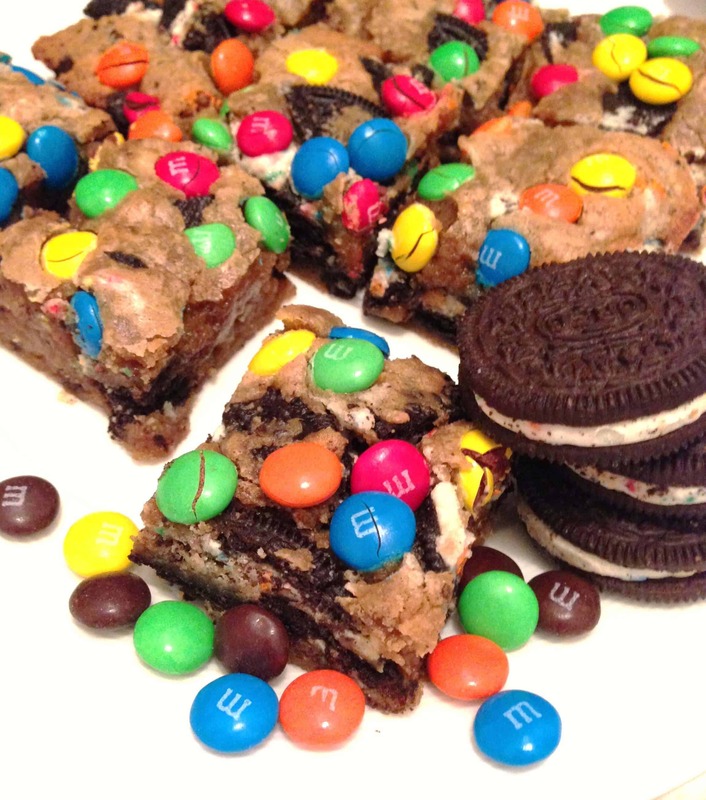 ), and sprinkle the M&Ms over the top. 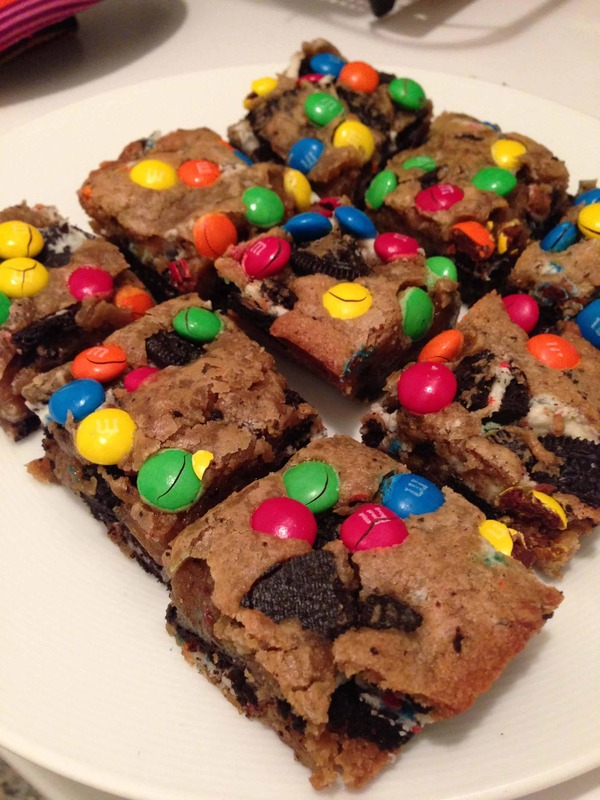 Lightly press M&Ms down into the dough. 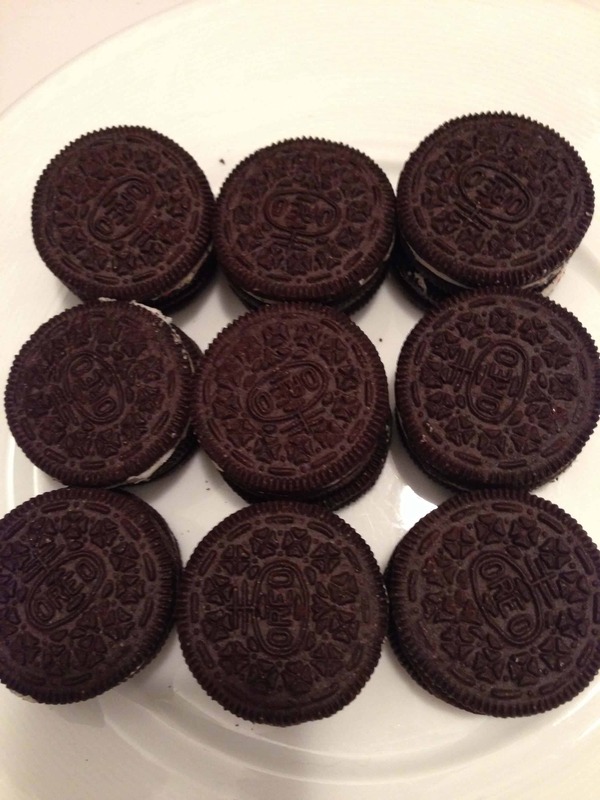 Bake for 28 minutes, or until the edges turn golden brown. Cool fully before cutting, and serving.